Up until a few years ago, I hadn’t eaten a freshly made English muffin. It was partially because it never occurred to me to make them and partially because I was afraid to work with yeast. Once I started working with yeast, I realized it’s not that complicated. These English muffins and jam are a perfect hostess gift to show friends you care about them. In the bowl of a stand mixer, whisk together 3½ cups (15.75 ounces) of the bread flour, sugar and yeast. Switch to the paddle attachment. With the mixer on low, slowly beat in the melted butter, followed by the milk to form a soft dough. Switch to the dough hook attachment, and beat in the salt. Continue mixing the dough, adding additional bread flour 1 tablespoon at a time until the dough is smooth and just begins to pull away from the sides of the bowl, about 7 minutes on medium-low speed (you may not need to add all of the flour). At this stage, the dough will be firm yet moist and somewhat sticky. Turn the dough out into a lightly oiled large bowl. Cover the bowl with plastic wrap and refrigerate overnight (this slows the proofing process and allows the flavors to develop). About 2 hours before cooking, remove the dough from the refrigerator, punch it down and set it aside to come to room temperature. 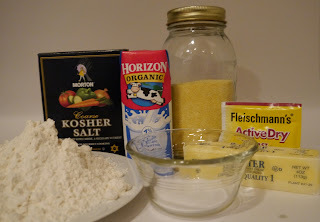 Place the cornmeal in a medium bowl. 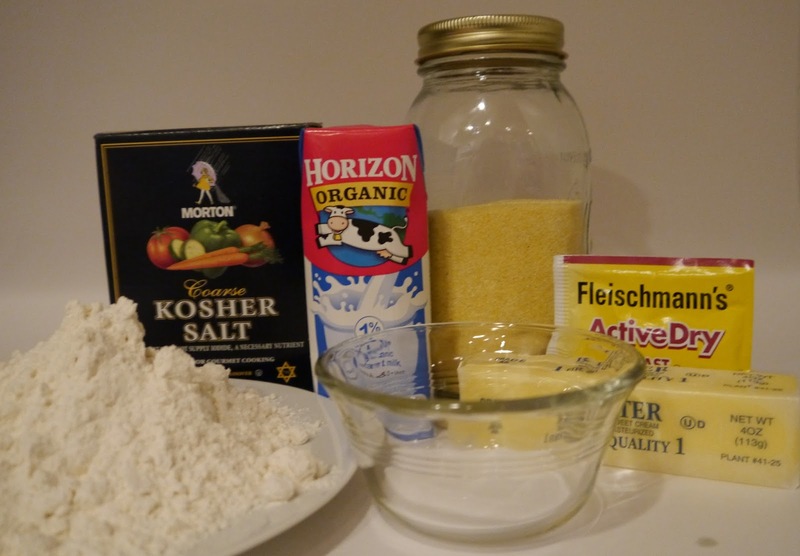 Using greased hands, divide the dough into 12 even portions, about 2¾ ounces each. Gently form each portion into a ball, and roll the balls in the cornmeal to lightly coat on all sides. Working with one ball at a time, flatten each ball into a disk about 3½ inches in diameter and one-half-inch thick. (If the dough starts to spring back, set it aside and move onto the next ball to give the dough time to relax). Place the disks on a lightly greased parchment-lined baking sheet. Place the sheet in a warm place until the disks are puffed and risen to about 1½ times their original height (watch that the disks do not over-proof or they will flatten as they bake), 15 to 30 minutes. Heat a griddle or cast iron skillet over medium-low heat (don't heat the griddle too hot, or the muffins will brown before they are fully cooked inside). Very lightly grease the griddle, then gently place the muffins on the griddle, leaving a little space between each so you have enough room to check and flip them as needed. Brown the muffins on both sides, and place on a baking sheet. Bake the muffins for 10-15 minutes or until firm.